Welcome to our website, where you can find all the answers to your needs when it comes to window blinds. 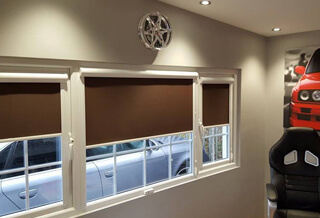 We are a manufacturer based in Barnsley, South Yorkshire and we have developed a collection of systems and fabrics to combine the most stylish and functional solutions for your windows. You will be astonished with the large selection of systems and variety of styles of fabrics that you will simply not find anywhere else! 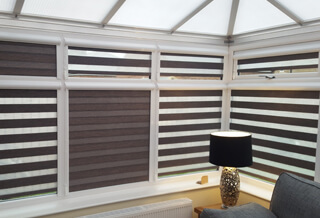 We specialise in Day&Night Perfect-Fit & Pleated blinds, but also offering any other market leading solutions ? 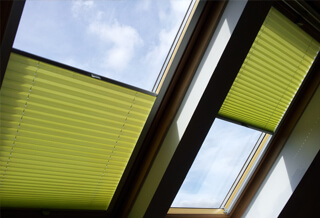 Whether it?s a Roller blind, Vertical, Roman, Wooden or Aluminium Venetian blinds that you need – we have it covered! 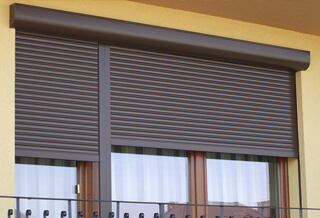 We are also offering installation of Awnings and external anti-burglar shutters at extremely attractive prices. We cover all of the Yorkshire and surrounding areas – Barnsley, Wakefield, Rotherham, Doncaster, Sheffield, Leeds, Manchester and many others, where we can offer you a FREE measuring and advise as well as FREE fitting! 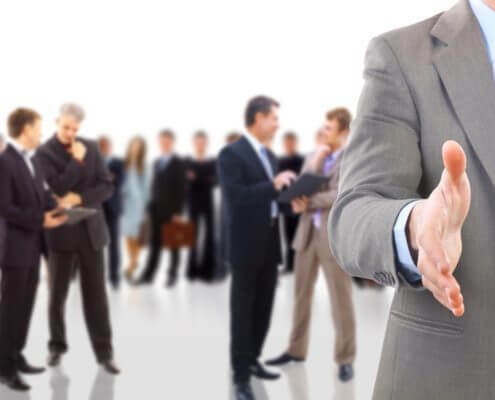 We are also consistently growing our ever-expanding distributors and re-sellers network in UK and Northern Ireland, so if you’re after our unique products – contact us today to find out more. 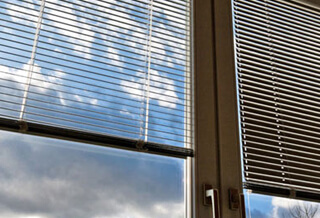 Day & Night blinds are a special type of fabric blinds with horizontal, alternating transparent and dimout straps manufactured with excellent craftsmanship and in a range of unusual designs. 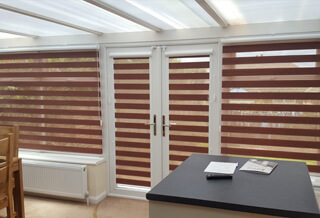 Pleated blinds are an elegant and functional design which will provide your room with a distinctive look. Their unique feature is that both profiles – top and bottom can be moved in both directions and can be stopped in any position, allowing the extra functionality. 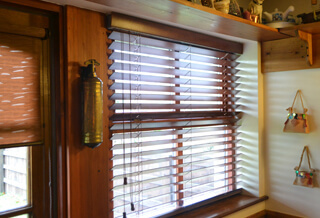 These are the most classical type of blinds with a great versatility of use. Interior roller blinds found in kitchens, living rooms, shops and offices, basically in every place where there is a need for practical curtains for the windows. The greatest advantage of wooden blinds is their natural beauty. A multitude of shades with a natural play of deeper grains and discoloration fits perfectly to other elements of the interior and the window frames. 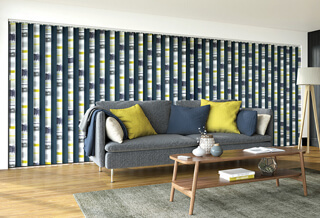 Who said Vertical blinds need to be boring? We have partnered with Louvolite to provide you with a huge selection of beautiful fabrics and a selection of colours of rails to fulfil even the most demanding taste and deliver the ultimate style to your room. Vertical blinds are still a very popular product on the marked and now you have an enormous amount of ways to express yourself by bringing colours to your room.? The simplicity of the design, versatility and functionality make them a very popular window decoration and an element of interior design. In addition, they are available in multitude of colours. Elegant, stylish and practical – a Roman Blind is perfect for any room and works well on all windows, large or small. The system allows for stopping the blind in any position. It is an ideal solution for most manufacturers of roof windows. It is characterized by a variety of colours and materials. 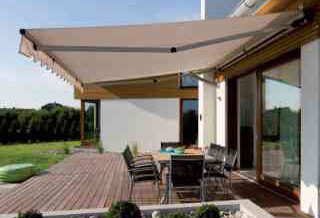 Retractable awnings are a stylish addition to any home or garden. With our made to measure high quality waterproof fabrics you will be protected from rain or direct sunlight. Secure your home or business in style with aesthetically pleasing Aluminium Roller Shutters, highly customisable to suit the specific needs and requirements of your premises. 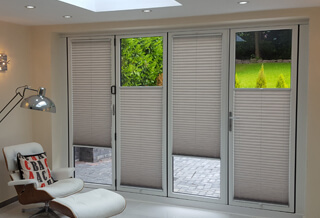 If you’re new to window blinds, we?ll be happy to help you start your own window blind retail business. 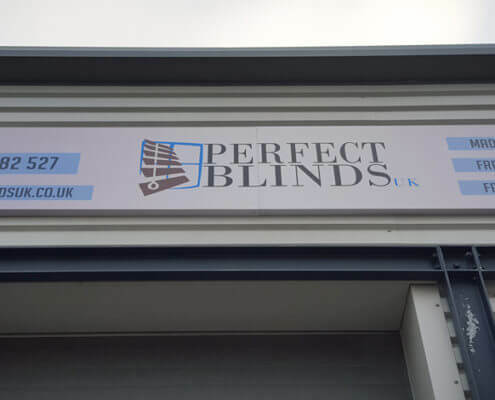 We can provide you with a range of packages to suit your needs which will include a full training and any other support needed to successfully build your blinds empire. You can check our territory map to give you an indication of the area we cover but get in touch if you’re on the outskirts as we can still be able to help. In any other case we can refer you to one of our independent trade partner who will be able to deliver our range of products to your area. 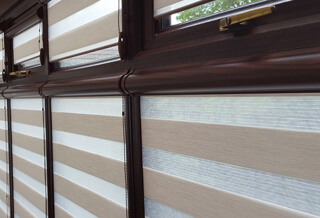 As manufacturers we are pleased to offer a trade supply partnerships for all types of blinds. Ideal for anyone already supplying blinds but also more than suitable for businesses in other sectors looking for an additional product line. We already supply many carpet retailers, window and conservatory suppliers? Interior designers etc.